The Diva's that cut ....paper! : February challenge Girls Night Out! February challenge Girls Night Out! Hello ladies, it’s Hannah here, your hostess for a month. Did you all have a good time with Arlene’s glitter challenge? I hope so, because you may want to keep that glitter out a little longer, this month’s theme is GIRLS NIGHT OUT! 1. Invite a friend to join us, any age! Mother, daughter, sister, Grandma, aunt, or friend, and make some card/projects together, even if you have to do it over skype, using the following 2 options. 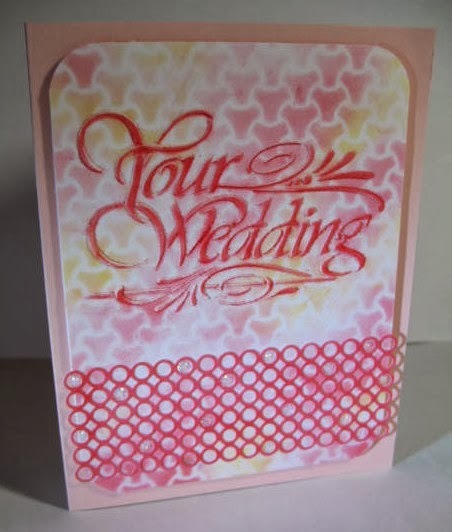 2. make “Girly” cards or scrap pages from comical to elegant or friendship. Remember you do not have to do all 3 options just as long as you use 1, you are in. This month’s sponsor is Dreamweaver Stencil’s! I’m so excited to share their products with you as I have fallen in love with them, Thanks to Arlene for introducing us last year. If you are new to our blog, click the contest rules tab above, and if you have any questions email us at thedcdivas@gmail.com. There will be one slight rule change this month (only) due to the Generosity of Dreamweavers who has offered 4 prizes. So there will be a drawing at the end of each week, and even though you are allowed 4 entries you can only win once, so if your name is drawn you are no longer eligible to win another prize this month. And now here are some lovely examples from our own Die Cut Diva’s. 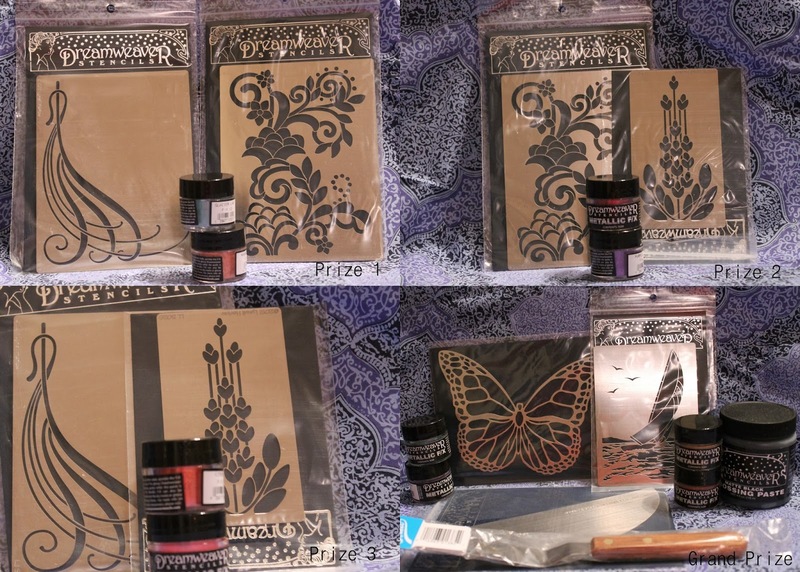 Dreamweaver Stencil Brick wall Paula L.
Oh my what a fun theme!! Very pretty and girly inspirations from the DT! Thanks for the fun challenge and great inspiration from the DT! I went a bit wild on pink! What a great theme. Thanks for the chance to win these dreamy prizes! I love the butterflies! Background Stencils, Thank you's, and Goodbyes. Add a Little Glitter and Bubble your Paste! Introducing our Guest Designer Linda Wetterlin!